Well, after spending a whole day at a photographers trade roadshow, where I met new and existing suppliers – it was fantastic to see some excellent new and funky products, which I can now offer to my clients. GraphiStudio who are already my wedding book supplier, have some absolutely fabulous new cover options being added to their range. This gives you so many options to choose from, including; varnished, leatherette, faux leather, silk, cowhide, metal, metal paint touch, metal with a printed image, crystal glance, distressed leather, nappa leather and leather, along with a vast array of colours to choose from. 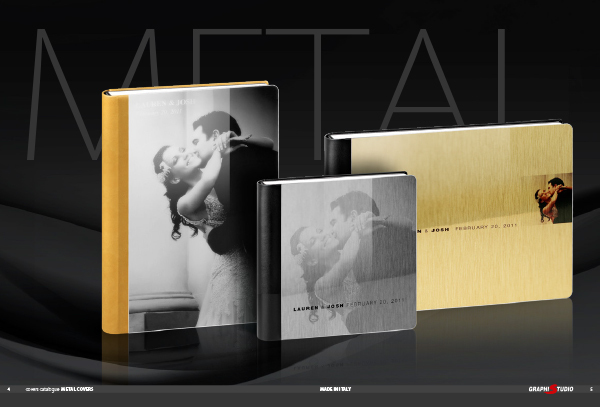 With all these options you can truly customise your wedding book to your own liking. There are also options for adding an image to your front cover, along with text showing your name and date. Wedding book sizes range from 10×13 cm up-to a massive 40×50 cm with up-to 100 pages along with a choice of storage cases for your book. GraphiStudio are currently working towards adding links to my website, so that it will allow brides and grooms to design the look of their own book cover. Now, how about having your image printed onto a piece of slate from Wales in super high quality. I myself have never seen this before, but I have now got a supplier who can do just this. Every piece of slate is a bespoke piece and adds a natural texture to your artwork, which you will have never of seen before. 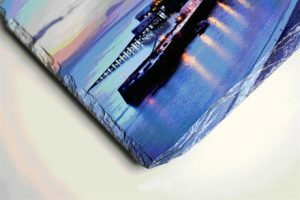 Images are printed all the way to the edge and with the slate having its own natural texture, it adds something totally different to your piece of artwork on the wall and no doubt a talking piece when you have friends and family come to visit. Available in 20×30 cm and 30×60 cm.